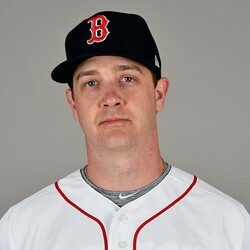 Red Sox pitcher Steven Wright has been suspended 80 games by Major League Baseball after testing positive for a performance-enhancing substance, Growth Hormone Releasing Peptide 2 (GHRP-2), according to a report from MLB Network's Jon Morosi. Wright missed most of 2018 with knee issues but was in camp with the Red Sox as he tried to lock down an important role in their new-look bullpen. That role will now have to wait until the second half of the season with the knuckleballer getting suspended for 80 games.